IdealPinkRose gave me this award. Thank you so much sis. Now I want to pass this award to Raquel, Juliana, Ging, Scotty's Princess and Norm. 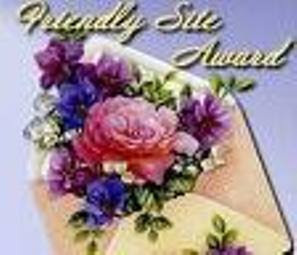 thank you lis for this friendly site award, take care and God bless you always..